Peter is a charismatic and entertaining singer/songwriter who has been performing his own compositions for over 20 years. A brilliant musician, Peter is also an engaging performer and has a huge singing voice. His songs cover a range of topics, and audiences have described them variously as political, funny, provocative, playful, moving and thought-provoking. Many of his songs have a strong social justice emphasis. 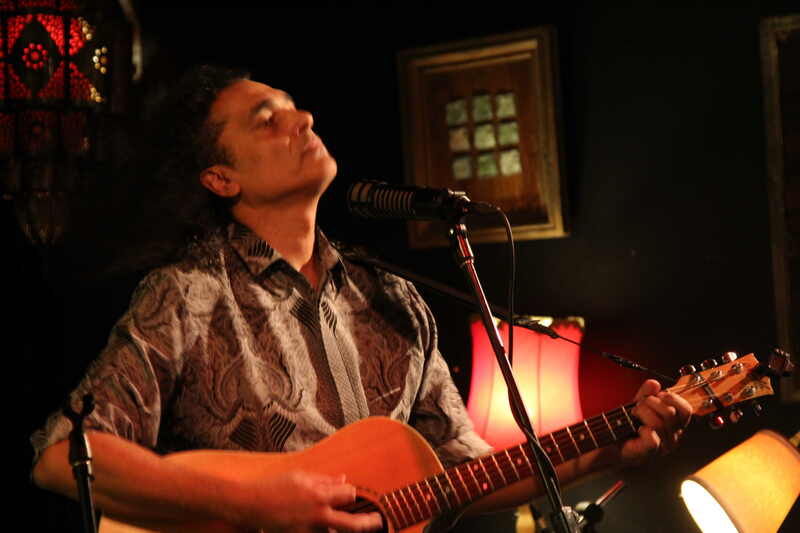 Peter's song styles reflect his incredibly broad music experience, and cover an eclectic mix of genres including blues, folk, funk, latin, flamenco, opera and cabaret. 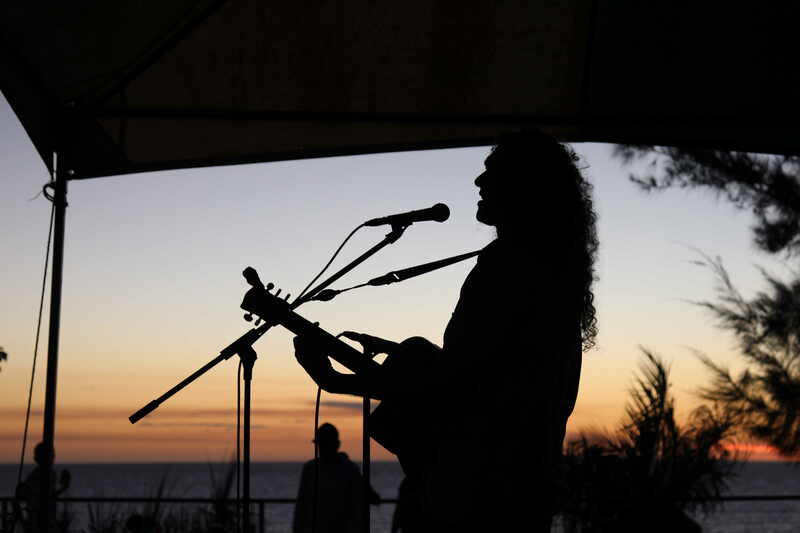 "Singer/songwriter Peter Vadiveloo performed thought-provoking sets at Uranquinty Folk Festival. He combined vocals with guitar and percussion to present songs from the serious to humourous. His strong voice grabbed the audiences' attention at all of the venues" (Heather Hunter, President, Uranquinty Folk Festival, NSW). "Annexe Arts played host to the intriguing and thought provoking Peter Vadeveloo at the Caravan Club last Sunday. Peter's commanding voice, provocative songs and subtle guitar playing held the full house in raptures as he weaved seamlessly through a selection if thought provoking and sensitive songs. The crowd loved his energy and connection with the audience. Great performance!!" (Steve Carr, Director, Annexe Arts, Caravan Music Club, Melbourne). 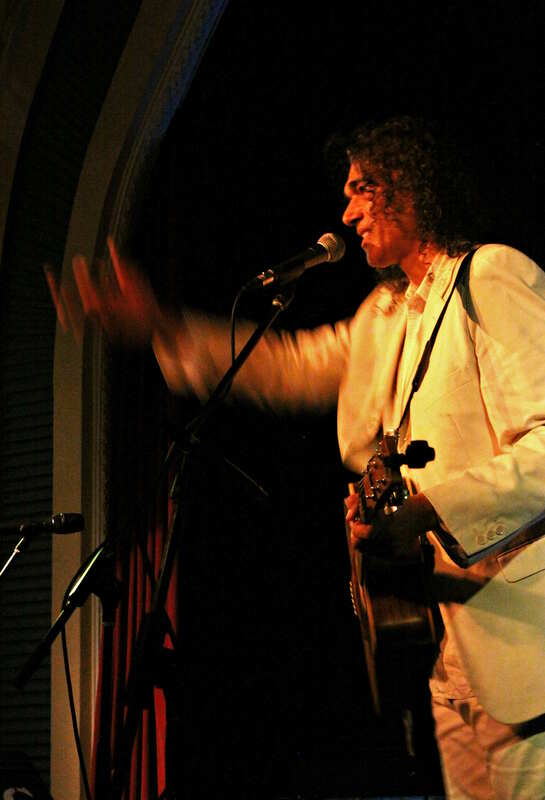 "A charismatic musician who engages his audience during his fantastic one man show with such a broad variety of original songs that every listener will be catered for. From political to funny all topics will be covered and leave the listener with plenty to think about well after the show has finished" (Farouk’s Olive, Melbourne). Listen to Peter's songs here, or check out videos here.